MANILA, PHILIPPINES | PLDT wireless subsidiary Smart Communications has led in average download speeds for both 3G and Long Term Evolution (LTE) in the country amid ongoing improvements of its mobile services. Smart’s LTE service has reached average download speeds of 11.64 megabits per second (Mbps) based on JP Morgan’s Asia Network Quality Study conducted last month. The report also showed Smart leading across areas in terms of LTE service with average download speeds of 12.52 Mbps in Metro Manila, 11.96 Mbps in the Visayas, and 9.44 Mbps in South Luzon, citing crowdsourced data gathered by wireless coverage research firm OpenSignal. “PLDT’s Smart has significant momentum across all circles measured. This likely implies a higher likelihood of market share gains going forward, with potentially better pricing power,” JP Morgan said in its study which covered the months of February to April. Mario Tamayo, PLDT and Smart Senior Vice President for Network Planning and Engineering, said the study showed that it is on track with its efforts to improve the speed of mobile Internet in the country. “There is still a lot of work to be done, but these test results show that our network improvement program is making progress. They are a testament to Smart’s commitment to continuously contribute to improving overall speeds in the country,” Tamayo said in a statement. Smart is utilizing its cell sites for low frequency bands such as 700 megahertz (MHz) and 850 MHz to provide better indoor coverage. It is also deploying high-frequency bands like 1800 MHz and 2100 MHz to increase the capacity of its cell sites to handle more calls, texts, and mobile data traffic. Recent internal tests have shown improvements in speed in areas involved in the ongoing network rollout. Average LTE download speeds in northern Metro Manila, for example, are at 22.2 Mbps, while speeds are at 14.5 Mbps on average using Smart’s LTE service in southern Metro Manila. In Cebu, on the other hand, average download speeds on Smart’s LTE service are at 20.7 Mbps. “We have ongoing network improvements in Metro Manila, and we look forward to providing our subscribers there with better indoor LTE and 3G data signal, as well as better indoor 3G and 2G voice signal once these activities are done,” Tamayo said. “We are asking for people’s patience and understanding as we are upgrading our network facilities. We assure you that we are taking steps to minimize the impact of these activities on our subscribers. In the end, our commitment to all our subscribers is that they will enjoy progressively better mobile data services in the next few months, particularly for those using LTE devices,” he added. PLDT Chairman and CEO Manuel V. Pangilinan has announced that the telco will allocate PHP46 billion for its capital expenditures this year. 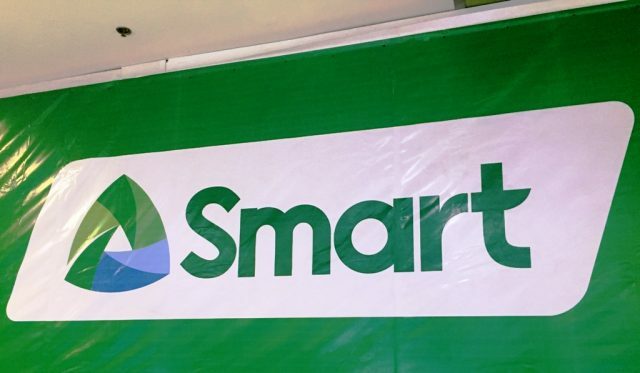 Smart’s network rollout took a big bulk of PLDT’s ramped-up capital expenditure program of PHP42.8 billion for 2016, which included the utilization of the new frequencies as a result of the acquisition of San Miguel Corporation’s telco assets.